Say cheese! 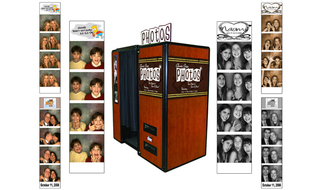 The Coney Island Photo Booth is a fun and interactive experience for your guests. Step right in and pose for multiple shots then retrieve your strip of printed photos outside the booth! Small booth also available. We can brand the booth with your company's/event's logo and props are also available. Strike a pose! Our professional staff will take your photo against a green screen backdrop then superimpose you onto one of many backgrounds. Studiograph, superimposition, Andy Warhol, iPod silhouettes, and Where's Waldo. Our Jump Photos area gives participants the opportunity to jump on a trampoline set in front of a white backdrop. Guests are under the flow of a high powered fan to enhance the effect for their model photo session. The results are mind-blowing! 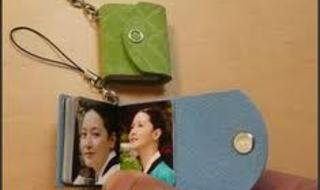 We take an elegant photo of you then, through sublimation, we superimpose your likeness into a lovely crystal keepsake. Subjects lay down facing up as the camera remotely captures the image and sends it to the printing station. The unique camera angle makes for a fun and exciting photo, especially group shots. Upload photos from your mobile device or storage medium (SD card, CF, USB, etc.) or take new photos right at the station...then get creative! Choose an album cover, select your pix, edit, and print! 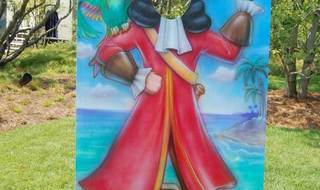 Pose for a photo then have your likeness created on a custom phone case that will fit many of the most popular mobile devices! 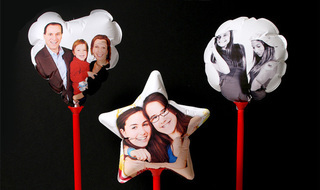 This cool idea is blowing up all over...Photo Balloons are mylar material with your photo printed on them! Placed on an elegant stand, the lightweight balloon remains inflated for a very long time. Get ready to strike your best B-Boy or B-Girl pose at our Urban Scenes Photo Wall! 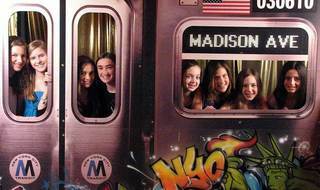 Hip yet classy, our phat Photo Wall features a def subway scene complete with graffiti art that guests can pose in the windows of! 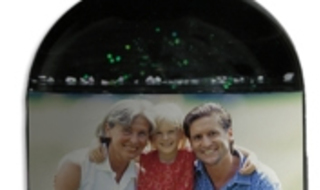 We take a snapshot then print photos which your guests can take home. Remember photo sleeves? Ever dream of being a Rock & Roll star? Well here is your chance! 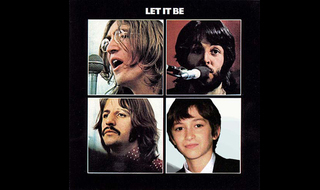 We take your photo against a green screen then print an album sleeve superimposing your photo on it to make you part of the art! 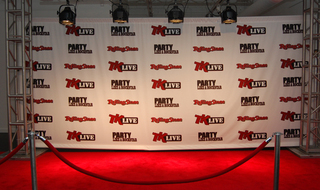 We set up a backdrop, red carpet and stanchions. Our paparazzi snap away and your guests come away with a great photo. 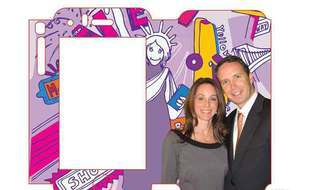 For a fun twist add a Celebrity look-a-like interviewer or a custom step and repeat backdrop! This new camera sensation is a hit at any event! Guests take their own photo by pushing a remote control button. High quality 4x6 black & white or color photos are printed instantly. Photos can be branded for any occasion. 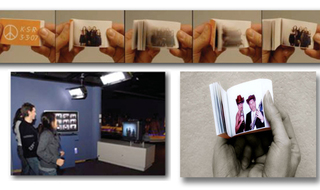 A built-in flat screen monitor shows a scrolling montage of all photos taken. 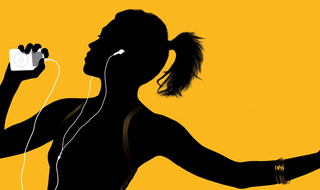 Images can be sent to various screens or projected on the wall. 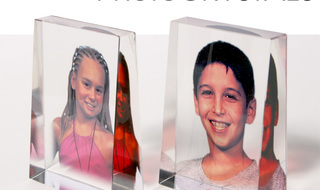 Add optional truss-mounted plasma screen to display the photos on a bigger screen! Your guests will flip for these books! This amazing novelty attraction sets your guests in front of a camera with various props and records five seconds of their action. Is it a take? If not, record again. Return to the station in as soon as 15 minutes to collect your flip book! Step inside the fun with our unique, inflatable Globe! The Globe features an exciting photo experience like no other. 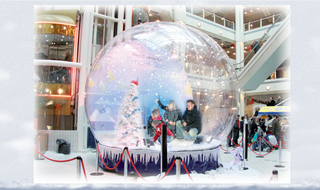 Explore this giant Globe complete with theme decor elements and a large artificial play area. A great photo op for up to 6 guests - just enter, play, pose, and take home a great photo souvenir from your event! The merriment is endless with our Giant Globe! 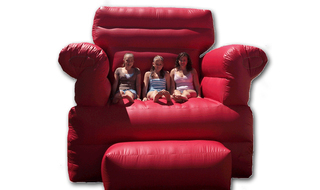 Climb up onto the Big Chair for a unique photo opportunity! 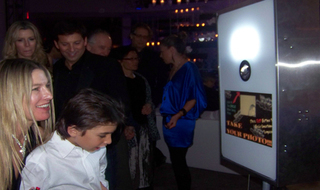 iMingle is an exciting, one-of-a-kind interactive experience that you and your guests will love! 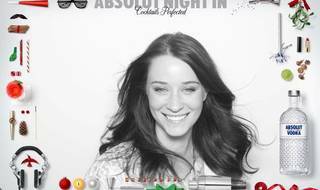 It brings the best features of a photo booth and guestbook together, and lets everyone connect through images like never before. With iMingle, you and your guests, young and old, will be able to take your own pictures, view real-time photos from your photographer and even write personal messages on images...all with the simple and elegant power of your fingertips! 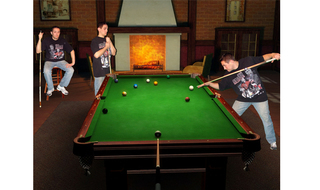 This awesome special effect duplicates the subject several times in the same picture, cool! A-TEN-HUT! Step up to our photo station and show us your best soldier smile! 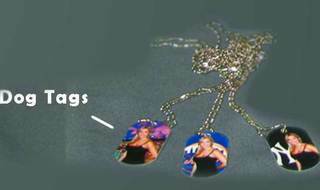 We put your image on a dog tag then give you a necklace to wear! Our cool Snow Globe station gives guests the chance to get their photo taken which we then place into a snow globe favor. Chilly! 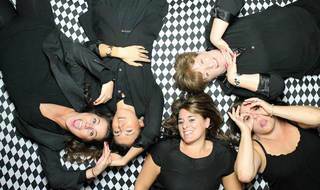 High definition, black & white photography with a splash of color - pose in front of our backdrop and allow our computer technicians to enhance the photo by coloring different sections to make it pop! 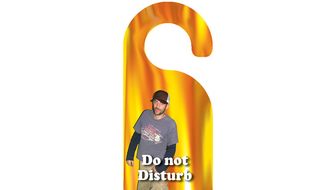 A photo of you superimposed on a personalized door hanger, cool! Can be customized to fit any theme.